The glycemic index has been quite the rage for over a decade. In general, it indicates how much a food affects your blood sugar levels and thus how healthful it is. A new concept has come around: a glycemic profile. Researchers think this might be key to natural health, and that they have stumbled upon a major health breakthrough. Many people are careful to follow a low glycemic index (GI) diet. But in light of its shortcomings, the “glycemic profile” (GP) has been suggested. For instance, white pasta has received a poor reputation due to a high GI. But in reality it produces just as good a blood glucose response as whole wheat pasta, according to the study. The reason for this confusion is that the GI considers only the entire area under the blood sugar curve. In contrast to what many believe, the GI does not take fluctuations in blood sugar into account. This puts foods with a long and fairly low curve at a disadvantage. This goes not only for pasta, but also many rye bread (whole grain) products. Essentially, it is the structure of a food that is the most important factor in the glucose response. 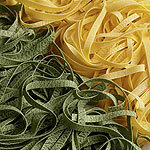 White pasta, the study says, has the same density as whole wheat pasta, and therefore takes a long time to digest. Fiber is important, though it is not always present in high enough levels to have a significant effect on the blood glucose response. Also, not all types of fiber are the same. Many high-fiber bread products in your grocery store provoke the same blood glucose response as white bread. The GP measuring system may provide a more accurate picture of the blood glucose response. To calculate GP, the glucose levels in the blood are measured for three hours after a meal. GI is also a measure of the blood sugar response, but only over two hours. A food with a high GP indicates that the energy lasts longer. The best possible situation is if a food has a low GI and high GP rating. Of course, more research is needed, including a study of sugary foods. Research is also needed to test whether products with a high GP also have beneficial effects on blood sugar regulation in the longer term.